Here is a list of some of the products I use in class. Check around for pricing as some of the supplies I use are very expensive! The markers I use I get in china on amazon as they are so much cheaper then the copic which sell for almost €4 each as they are professional markers used for illustration work. The China version gives the kids a good feel for how to use them. Here is the link to amazon that I use to purchase it takes about 4 to 6 weeks to get them in. The 80 pack is the best value. This blends the other markers together. WCOCOW Watercolor Brush Pen Set- 20 Colours-Soft Flexible Tip. 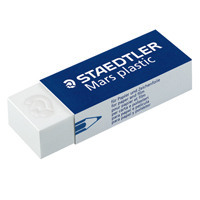 Available from Terenure office supplies on line (click on link) or in store. Intenses Pencils watercolour by Derwent. Derwent pencils have been manufactured by The Cumberland Pencil Company in Cumbria in the UK since 1832 and is now a brand under ACCO UK Ltd. 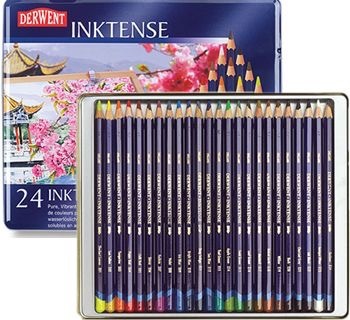 The Inktense pencils are marketed as Derwent’s “best watercolour pencils ever”, capable of laying down “permanent colours after washes and drying,even on silk and cotton”. You can use them dry but mix them with water and the colour turns into vibrant ink. Polychromos artists’ colour pencils are valued for their matchless quality by professional artists around the world. Their high standard ensures that Polychromos artists’ colour pencils are ideal for use in the graphic arts, for free artistic expression, and for the precise colouring of plans. Faber-Castell’s quality standards are applied consistently throughout the manufacturing process. Top-quality materials, combined with our long experience, ensure that Polychromos artists’ colour pencils have extremely break-resistant leads, maximum light-fastness, the most vivid colours and optimal paintability, along with many other advantages valued by professional artists. Evans is a Large art suppliers in the city Center. You will have to order from Terenure office supplies as they don’t keep these pencils as stock items I know they supply Fabre castell not sure if they supply derwent take a look at their website. Rapesco 64 sharpener is avalible on eBay and Amazon Price varies. 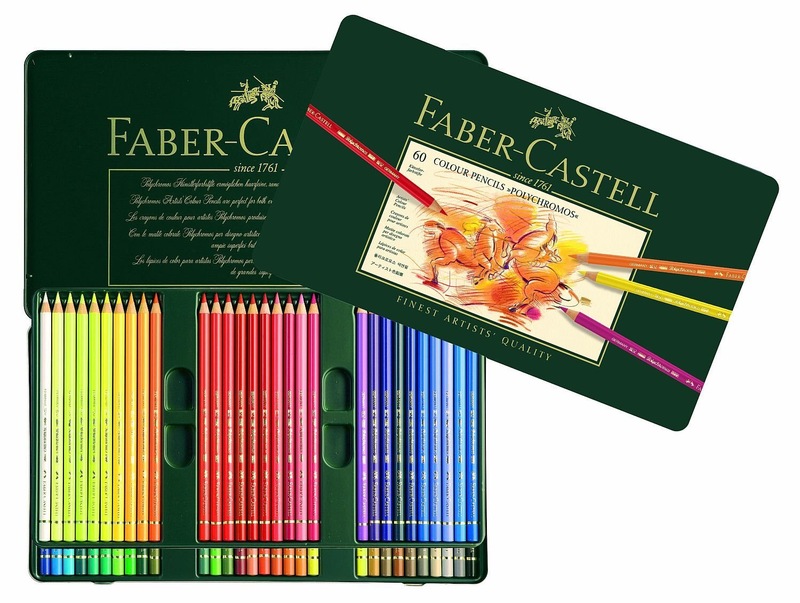 Faber castle 12 watercolour pencils avalible from Terenure office supplies €4.35 or I have some avalible in class.